A Balsam Bashing Event was held on Sunday 2nd August. 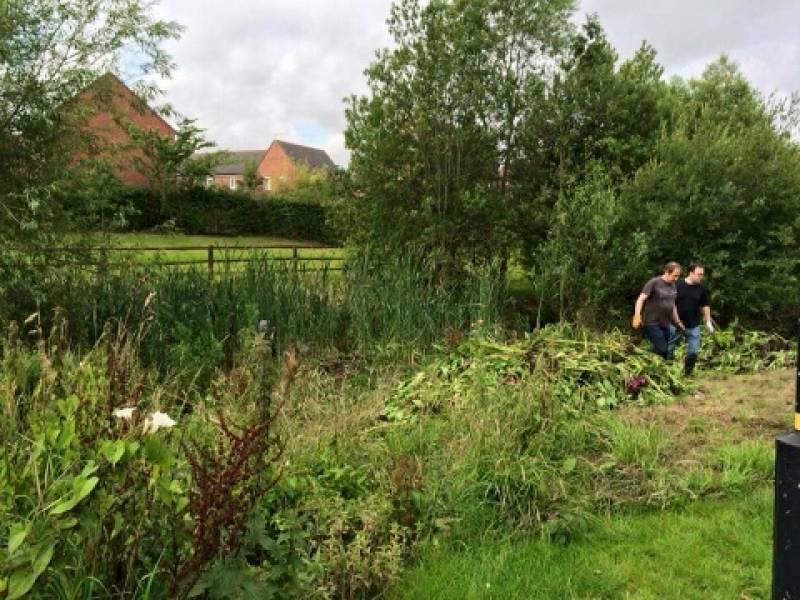 It was a great success all due to the orgainser of the event Nicola Bayes from Watermint Way and the hardwork of all those who took part, including the site gardener who helped out free of charge. Although a lot of balsam was removed there is still a lot left so there will be an event every Sunday this month from 10.00am to 12noon. The meeting place will be the green bridge over to Woodheys near Dipper Drive. If you haven't taken part in any of the events so far this year then please come along if you can as you can make a big difference. You don't have to be there for the full two hours and if you can't get there for 10 just come along when you can. You don't need to be really strong to take part as the balsam is really easy to pull out because of its shallow roots. Those people who have taken part have found it very rewarding, made new friends and believe it or not had fun! Refreshements will be provided and prizes! If you can't attend any of the events this month as it is the summer holidays and you may be away then we hope you will be able to help out next year as events will be run annually from now on to keep the weed under control.